Send a romantic note as an acrostic playlist to someone special in your life. Love Notes is an experience we built with Spotify to make Valentine’s Day a little more musical. Users choose three genres, select an appropriate heat level (ranging from Sincere to Steamy), and type out a message for a loved one. 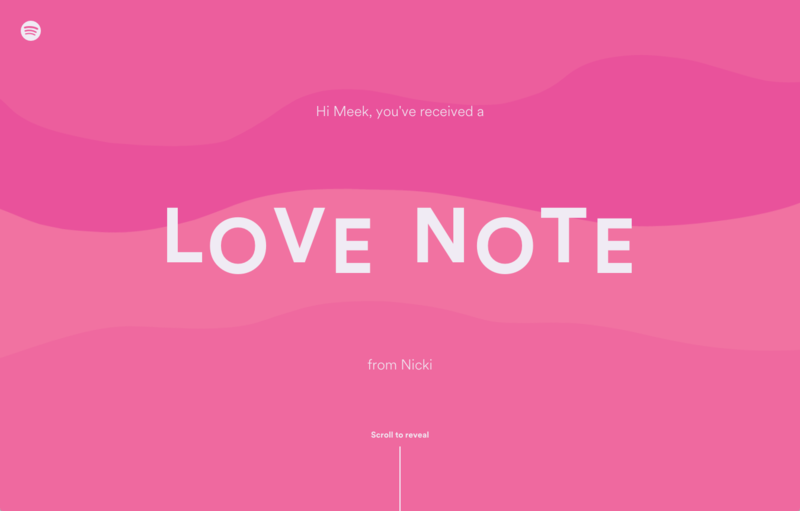 Love Notes renders the message as an acrostic playlist that spells out the missive with tracks perfectly suited to the sender’s selected genres and heat level. On the back end, our team started by diving into Spotify’s database of music and curating a list of 6,000 love songs across a variety of different styles. To help create the list, we wrote a few different algorithms to catalogue songs according to lyrical sexiness. 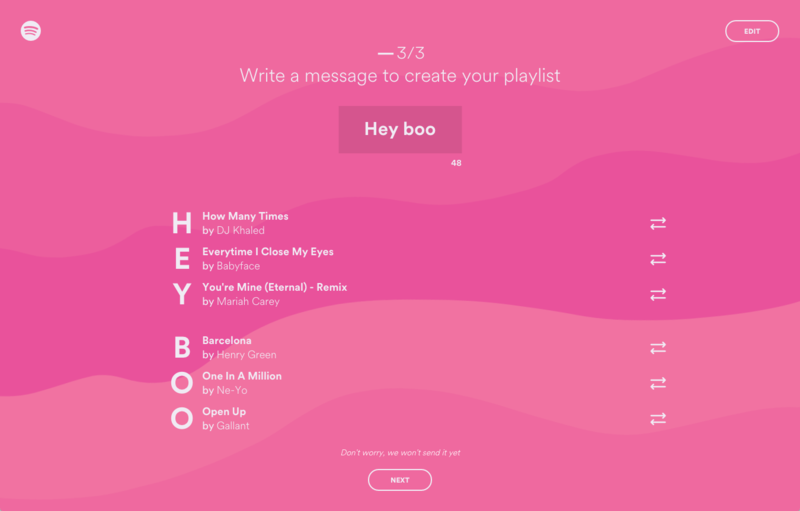 By programmatically organizing our love songs into buckets like ‘charming’, ‘flirty’ and ‘seductive’, we could serve up the most appropriate tracks for each message recipient. 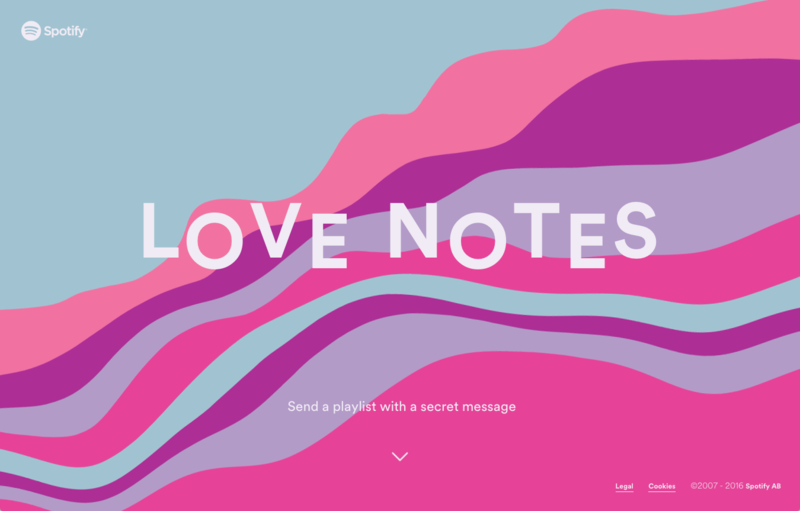 Love Notes boasts canvas animations featuring gently undulating waves. 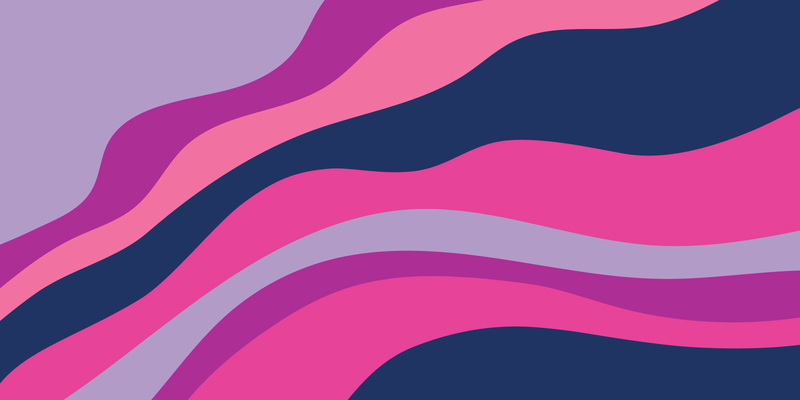 The waves were exported from Illustrator and converted from SVG vector points into bezier curves for HTML canvas rendering. This workflow allowed a great amount of control, with the rendered curves matching the design as much as possible. We added a WebGL shader to handle the continual motion when a user rests on a static page.